This is F1Minute and it’s the 23rd May 2011. Autosport are reporting that the FIA will ban the use of DRS in the tunnel at Monaco, after several drivers spoke out about their safety concerns. The debate began earlier in the month but FIA race director Charlie Whiting told teams there would be no ban in Monaco, however, after continued complaints from GPDA chairman Rubens Barrichello, the governing body have changed their minds. 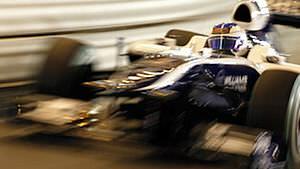 The ban is only for a specified distance surrounding the tunnel, with drivers free to use the Drag Reduction System through the rest of the lap in practice and qualifying. The overtaking zone during the Grand Prix itself is likely to be placed at the start/finish straight.